A countdown for the Biggest Gala in the Indian cricket space has begun with IPL kick-starting their auction and bidding process. IPL auctions have been an interesting plot to watch and witnessing the very drama of who getting sold to whom is no less than a nail-biting match. The strategies, bid amount, player’s popularity coming on the field, auctions play an important role in deciding the team’s journey in the tournament. Let us take a look at the things happened in IPL Auctions 2018 and other details in today’s read. Rajasthan Royals bags Ben Stokes (England) for whopping Rs. 12.5 Crore. Chris Gayle went unsold on the Day 1. RCB loses him to Kings X1 Punjab for 2 Crores on Day 2 of the auctions. Chennai Super Kings gets Harbhajan Singh, Murali Vijay and drops the star spinner R.Ashwin. Kings X1 Punjab looked aggressive buying all the star players while RCB stayed calculative. Manish Pandey and KL Rahul were the most expensive Indian buys with Rs.11 Crore each. Tim Southee – Rs. 1 Crore. Parthiv Patel – Rs. 1.7 Crores. Chris Woakes – Rs. 7.4 Crores. Brendon Mccullum – Rs. 3.6 Crores. Aniruddha Joshi – Rs. 20 Lakh. Nathan Coulter-Nile – Rs. 2.2 Crores. Mohammad Siraj – Rs. 2.6 Crores. Pawan Negi – Rs. 1 Crore. Washington Sundar – Rs. 3.2 Crores. Mandeep Singh – Rs. 1.4 Crores. Murugan Ashwin – Rs. 2.2 Crores. Moeen Ali – Rs. 1.7 Crores. Murali Vijay – Rs. 2 Crores. Sam Billings – Rs. 1 Crore. Dwayne Bravo – Rs. 6.4 Crores. Harbhajan Singh – Rs. 2 Crore. Shane Watson – Rs.4 Crore. Ambati Rayudu – Rs.2.2 Crores. Karn Sharma – Rs. 5 Crore. Team: MS Dhoni, Ravindra Jadeja, Suresh Raina, Kedar Jadhav, Dwayne Bravo. Karn Sharma, Shane Watson, Shardul Thakur, Ambati Rayudu, Murali Vijay, Harbhajan Singh, Faf Du Plessis, Mark Wood, Sam Billings, Imran Tahir, Deepak Chahar, Mitchell Santner, Lungisani Ngidi, Asif K M, N Jagadeesan, Kanishk Seth, Monu Singh, Dhruv Shorey, Kshitiz Sharma, Chaitanya Bishnoi. R Ashwin – Rs. 7.6 Crore. Yuvraj Singh – Rs. 2 Crore. Karun Nair – Rs. 5.6 Crore. KL Rahul – Rs. 11 Crore. David Miller – Rs. 3 Crore. Mayank Agarwal – Rs. 1 Crore. Aaron Finch – Rs. 6.2 Crores. Chris Gayle – Rs. 2 Crore. Marcus Stoinis – Rs. 6.2 Crore. Team: Axar Patel, KL Rahul, Ravichandran Ashwin, Andrew Tye, Aaron Finch, Marcus Stoinis, Karun Nair, Mujeeb Zadran, Ankit Singh Rajpoot, David Miller, Mohit Sharma, Barinder Singh Sran, Yuvraj Singh, Christopher Gayle, Ben Dwarshuis, Akshdeep Nath, Manoj Tiwary, Mayank Agarwal, Manzoor Dar, Pardeep Sahu, Mayank Dagar. * Rohit Sharma, Jasprit Bumrah, and Hardik Pandya got Retained while Kieron Pollard got retained via RTM for Rs. 5.4 Crores. Pat Cummins – Rs. 5.4 Crores. Krunal Panday – Rs. 8.8 Crore (via RTM). Ishan Kishan – Rs. 6.2 Crore. Gautam Gambhir – Rs. 2.8 Crores. Glen Maxwell – Rs. 9 Crore. Vijay Shankar – Rs. 3.2 Crores. Prithvi Shah – Rs. 1.2 Crores. Team: Rishabh Pant, Shreyas Iyer, Chris Morris, Glenn Maxwell, Kagiso Rabada, Amit Mishra, Shahbaz Nadeem, Vijay Shankar, Rahul Tewatia, Mohammad Shami, Gautam Gambhir, Trent Boult, Colin Munro, Daniel Christian, Jason Roy, Naman Ojha, Prithvi Shaw, Gurkeerat Singh Mann, Avesh Khan, Abhishek Sharma, Jayant Yadav, Harshal Patel, Manjot Kalra, Sandeep Lamichhane, Sayan Ghosh. David Warner – Rs. 12.5 Crore. Bhuvaneswar Kumar – Rs. 8.5 Crore (Retained). Shikhar Dhawan – Rs. 5.2 Crore. Manish Pandey – Rs. 11 Crore. Yusuf Pathan – Rs. 1.9 Crore. Team: David Warner, Bhuvneshwar Kumar, Manish Pandey, Rashid Khan Arman, Shikhar Dhawan, Wriddhiman Saha, Siddarth Kaul, Deepak Hooda, Syed Khaleel Ahmed, Sandeep Sharma, Kane Williamson, Carlos Brathwaite, Shakib Al Hasan, Yusuf Pathan, Shreevats Goswami, Mohammad Nabi, Chris Jordan, Basil Thampi, T Natarajan, Sachin Baby, Bipul Sharma, Syed Mehdi Hasan, Ricky Bhui, Tanmay Agarwal. Mitchell starc – Rs. 9.4 Crore. Mitchell Jhonson – Rs. 2 Crore. Chawala – Rs. 4.2 Crore. Robin Utthappa – Rs. 6.4 Crore. Nitish Rana – Rs. 3.4 Crore. Team: Sunil Narine, Andre Russell, Chris Lynn, Mitchell Starc, Dinesh Karthik, Robin Uthappa, Kuldeep Singh Yadav, Piyush Chawla, Nitish Rana, Kamlesh Nagarkoti, Shivam Mavi, Mitchell Johnson, Shubman Gill, Ranganath Vinay Kumar, Rinku Singh, Cameron Delport, Javon Searles, Apoorv Vijay Wankhade, Ishank Jaggi. Steve Smith – Rs. 12.5 Crore (Retained). Ben Stokes – Rs. 12.5 Crore. Ajinkya Rahana – Rs. 4 Crore. Stuart Binny: Rs. 50 Lakh. Team: Steve Smith, Benjamin Stokes, Jaydev Unadkat, Sanju Samson, Jofra Archer, Krishnappa Gowtham, Jos Buttler, Ajinkya Rahane, Darcy Short, Rahul Tripathi, Dhawal Kulkarni, Zahir Khan Pakteen, Ben Laughlin, Stuart Binny, Dushmantha Chameera, Anureet Singh, Aryaman Vikram Birla, Midhun S, Shreyas Gopal, Prashant Chopra, Jatin Saxena, Ankit Sharma, Mahipal Lomror. (Source: TOI, News18). Let’s Play. This was the list of players and the completed details about IPL Auctions 2018. So, whom are you supporting this time? Let us know in the comments below. Get the Best of MetroSaga delivered to your inbox. 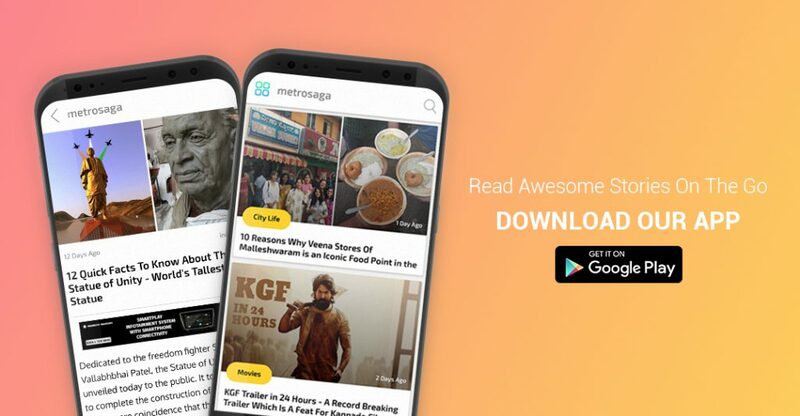 Subscribe to MetroSaga and get an update to your inbox. For all the fun, join us on our Facebook Page. Previous articleಬ್ರೇಕಿಂಗ್: ಬಲ್ಲ ಮೂಲಗಳ ಪ್ರಕಾರ ಬಿಗ್ ಬಾಸ್ ಸೀಸನ್ 5 ರ ವಿನ್ನರ್ ಚಂದನ್ ಶೆಟ್ಟಿ ಎಂದು ಬಹುತೇಕ ಖಚಿತವಾಗಿದೆ.